It is advisable to make sure you do the following things: Advice number one is …………. enjoy Russia! Doing business in Russia often requires more effort and energy than is the case in many other countries. You may also face small discomforts and setbacks. Enjoying being in Russia and doing business here will give you just that extra dose of energy that you will need to deal with the daily challenges that will come your way when doing business. You have to be entrepreneurial, flexible and patient. You will have to be ready to adapt to ever-changing circumstances. Another important recommendation is that you really try to understand, respect and be open to Russia and its cultural peculiarities. You will gain a lot by understanding the perspective of your Russian partner. Just reading Russian literature will already open up a small window into the Russian soul. Gaining some knowledge of the Russian language is also something that will help you feel comfortable in Russia. Simply by learning the alphabet you will find out that many words are actually recognizable to the western eye. A restaurant is “restoran”, business is “bizns” and stop is “stop”. Russians really appreciate it when you make an effort to say a few words in Russian, so it is advisable to learn a few words such as: thank you “spasiba”, hello “zdrastvujte” and please “pozhalujsta”. The best thing you can do before starting to work in Russia is to dedicate a few weeks to learning the basics of the language. It is an investment of time that will pay off immediately you commence work and will continue to pay off during your stay in Russia. In addition to those things that you should do in Russia there are also a number of things that you should definitely not do: First of all, you should not be afraid of Russia. Fear is a bad advisor and will impede your business efforts in Russia. Russia is a safe country. You don’t have to go out on the street with bodyguards and your business will not suffer from protection rackets as many westerners with no experience in Russia think. On the other hand, one should never underestimate Russia or Russian business people. Many Europeans still think of Russia as an underdeveloped country where it is easier to do business than in Europe, but that is a misconception. Russians are very well informed and educated and travel all over the world, visiting all the important international trade fairs and exhibitions and know exactly what the international market has to offer. The time that you could sell cheap jeans and second-hand computers in Russia has long gone by. Never think that Russia is purely European. When we go to China everything looks, feels, sounds and tastes differently. As a consequence of these obvious differences, we already to accept that China is a world apart from what we know at home. Russia in many ways looks, feels, sounds and tastes the same. This often leads us to think that Russia is just another European country and that Russians are just another group of European people, but nothing is further from the truth. Russia is a Slavonic country with a mix of European, Asian and Slavonic characteristics and you would do well to keep this particular mix of features in mind when living and working in Russia. Another misconception is the idea that Russia is a country where everything is cheap. 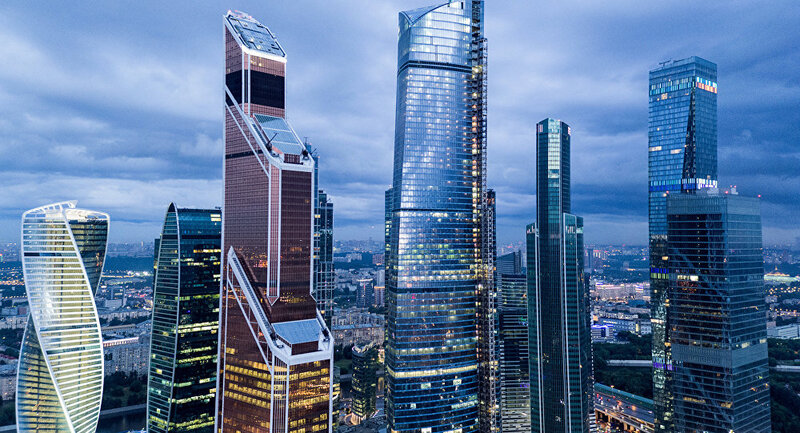 The cost of living is high with Moscow regularly topping the list of the most expensive cities in the world. Also, salaries, rents, and other overheads are among the highest in the world. The transaction costs of doing business in Russia such as costs for travel, brochures, certification, exhibitions, and logistics are relatively high. Why do Business in Russia at all? Russia is the 8th largest country in the world with a population of 142 million. Most of all, they understand and respect Russia’s cultural peculiarities and understand the Russian perspective! Doing business in Russia is like driving a car: you have to know where you are, where you want to go and how to get there. You need to keep your hands on the steering wheel and your foot on the accelerator (or the brake). You need to stay awake, pay attention at all times and understand when you are lost.